Integrated solution combines centralized management and intelligent, secure storage units. 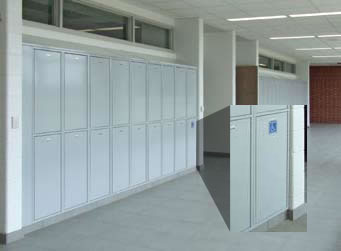 The electronically operated lockers are opened with a magnetic card or a proximity credential. One solution: Electronic Lockers revolutionizes how organizations manage lockers and related security issues. 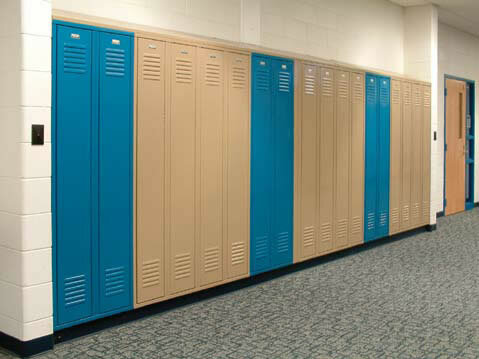 Schools, retail establishments and other locations concerned with security and safety can centrally manage and secure their lockers, individually or with system-wide operations. One system: A single administrative console can manage tens, hundreds or even thousands of lockers, maintaining records of access, instantly changing passwords or denying access to the entire system during off-hours. One industry leader: Electronic Lockers is a proven solution, with institutional and corporate installations in place and saving their owners thousands of dollars in administrative, re-keying and maintenance costs. Our electronic operated lockers are ideal for amusement parks, swimming pools, bowling alleys, and other facilities where temporary storage for patrons is a necessity. People need a secure place where they can store wallets, car keys, cell phones, bags, and anything else that they might need to store so they can enjoy your establishment as much as possible without having to worry about losing their property. Locks can be configured to either accept tokens or coins such as quarters. Over time the coin locker investment pays for itself as more and more patrons use the units to store their belongings while maintenance is minimal. Built to withstand that daily use and abuse, these are created to last for years so your customers have peace of mind while you have one more revenue stream for your business. For police departments, labs, and law enforcement agencies of any size and scope, our evidence lockers help keep the chain of custody intact to ensure that evidence remains secure and admissible. Tampered evidence is worse than no evidence at all, and we have a variety of styles and configurations to keep your agency on top of the incoming stream of data and confiscated objects. Pass-through styles, as well as refrigerated styles are available to ensure proper storage and protection. We keep a variety of styles in stock to ship quickly while also offering more custom options to better fit your facility. For those in the medical or research fields, where sanitary conditions are a necessity, we have our stainless steel lockers as well as our anti-microbial hospital lockers. Stainless steel is resistant to rust as well as germs while providing a smooth, clean looking finish that is perfect for kitchens, labs, or caterers. 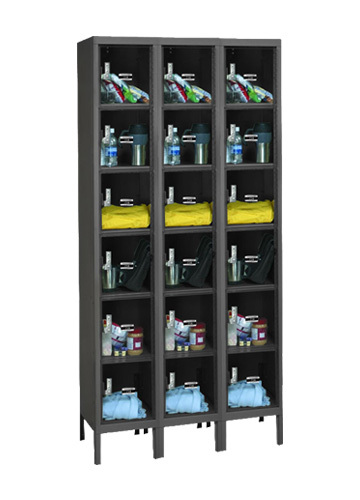 The hospital lockers are designed specifically for hospitals and wellness centers and feature a uniquely devised powder coat finish that resists mold, bacteria, yeast, and mildew for up to 20 years, offering you the perfect storage for care center staff, doctors, nurses, or caregivers. 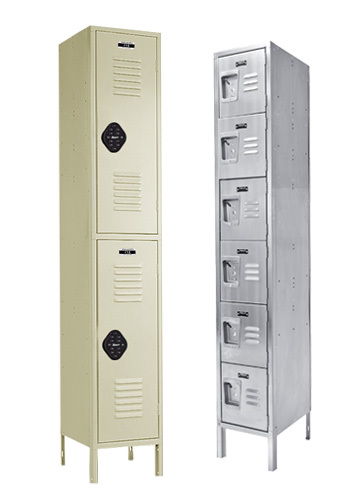 We also carry a variety of other rust resistant lockers that are available from single tier on to box lockers and heavy duty cabinets. Need to request a quote or our catalog?